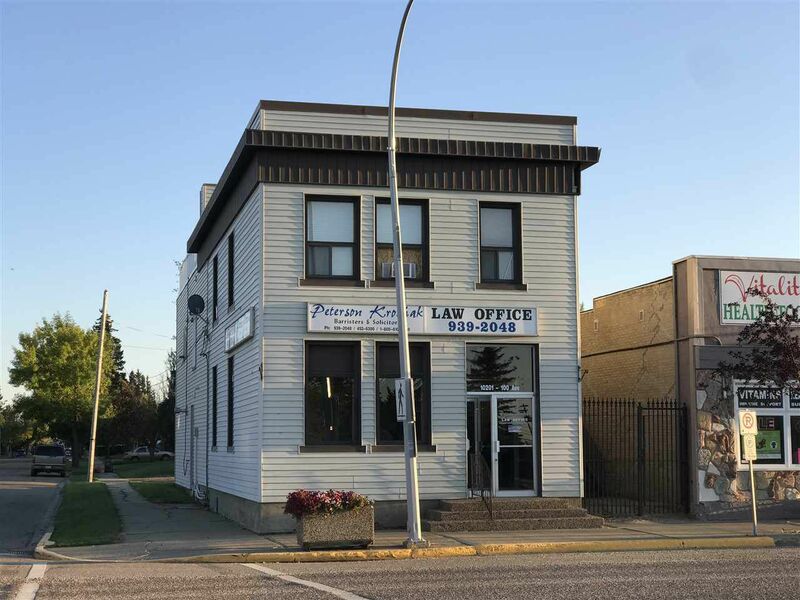 Here is a building with a great location - retail space and two residential suites on the upper level right on main streets of Morinville. Gross Annual revenues of $45k per year with month to month on the residential suites and main floor in annual lease. The building was originally built in 1910 and has been substantially updated in 2010 with new electrical, plumbing, heating, etc. The upper units consist of a three bedroom suite and a one bedroom suite both with access to a roof top patio/deck area. Main floor retail is approximately 2000 sq feet with old safe from previous bank use.